Summer of love films set in sunny, foreign locales have been a hallmark of coming-of-age cinema for so long, at least as far back as movies like Three Coins in the Fountain, Roman Holiday, Summertime, Holiday for Lovers, and relatively more recent titles like A Little Romance, Enchanted April, Stealing Beauty, Under the Tuscan Sun, A Good Year, Mamma Mia! and Eat, Pray, Love, they’ve become somewhat passé. So much so that these stick a pin in the map movies now feel like displaced, modern descendants of E.M. Forster and Henry James. Americans abroad entries of more integrity, like The Talented Mr. Ripley, had to twist variations out of the theme in order to pull off the same premise. With its topicality, self-congratulatory ballsiness and down home setting, Brokeback Mountain, Ang Lee’s plaintive ode to repressed passions and frustrated longings, has officially placed the filmmaker in Hollywood’s pantheon of great directors (he picked up an Oscar for it), and that’s apt. For this movie presents a complete crystallization of the dominant theme woven throughout his entire body of work, that of romance thwarted and love aborted by people’s unwillingness or inability to express their true feelings. 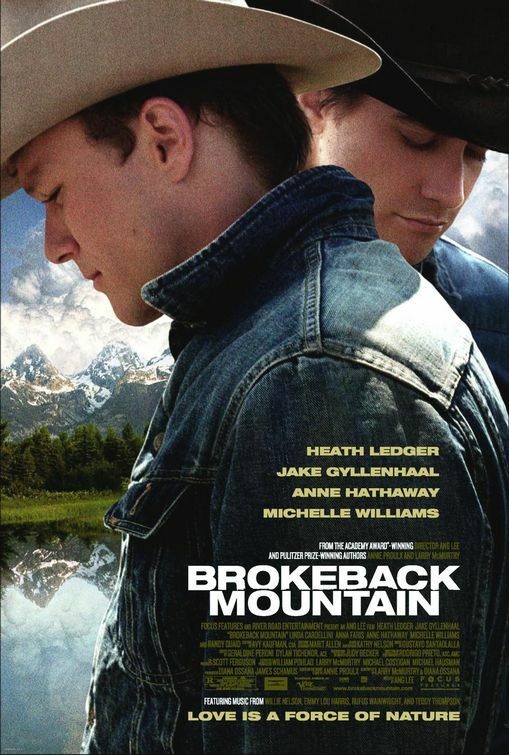 The story concerns the decades long secret affair between Ennis Del Mar (Heath Ledger) and Jack Twist (Jake Gyllenhaal), two cowboys who are unable to reconcile their love for one another. Brokeback Mountain is just as pained and tinged with angst as everything that’s gone before it.